Finding the best dress pants for curvy figures can be quite challenging as most of these dress pants are designed for narrow figures. Here are the best fitting women’s dress pants that are super flattering to women with curvy figures. So if you have a classic pear shape or larger thighs and hips, these pants should be your go-to-styles. If you are looking to upgrade your office wardrobe with a stylish dress pant, the Gabardine dress pant is one of the best trousers for big thighs. This dress pant will fit curvy figures nicely on the waist, giving you a beautifully flattering and silhouette fit. You can wear this pant with a blazer or a dressy top. The Gabardine dress pant is made from 5% Spandex, 33% Rayon, and 62% Polyester. It is durable, smooth to the touch, and the added stretch comforts. It comes with a 31-inch inseam, welted back pockets, and squared front pockets. These dress pants have a slightly flared leg and a wide waistband with double-button closure and belt loops. The Rekucci Curvy Women Ease into Comfort Pant features a wide contour waistband and a pull-on styling. The contour design will give you a smooth, flawless look while hugging your body. This comfort pant has a barely bootcut design that has a subtle flare, giving you a timeless and elegant look. There is extra wide elastic inside the waist edge of this pant that provides all-day comfort and great support. The pull-on styling looks professional and polished, and it feels great with its trouser details. This dress pant features belt loops at the front and back, faux front and back as well as back darts. It is made of super stretch fabric for extra recovery and comfort. It is available in 2 inseam lengths: regular 32 inches and petite 29 inches. The Rafaella Women’s Curvy Fit Slim Leg Pants are made from sturdy and tightly woven fabric. This allows this dress pant to match up to your lifestyle. You can add this item to your workday wardrobe or pair them with a chic top. This pant feels relaxed through the thighs and waist, flatters your body, and it contours to your silhouette. It features a two-way fabric that moves with you, comforting you all day long. 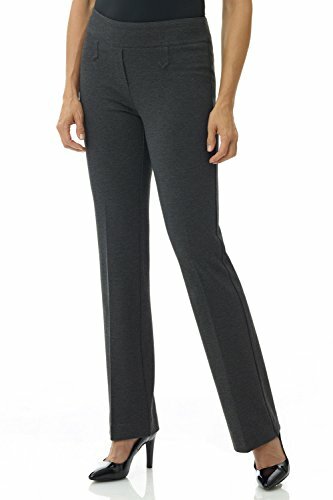 The Rafaella Women’s Curvy Fit Slim Leg Pant features two back welt pockets, two front pockets, and a zipper fly with bar and hook closure. It is also machine washable. This is the skinny plus size of the Rekucci Curvy Ease into Comfort. This pant comes with a front-tummy tamer panel that offers light control. This helps to smoothen out any imperfections and cradle your curves without being restrictive. This also features pull-on styling with contour waistband. The contour design helps to give curvy figures a flawless look underneath their tops. This curvy fit dress pant has a skinny design, giving you a slim fit from the waist through your ankle. It is available in 2 inseam lengths: regular 29 inches and short/petite 27 inches. The extra wide elastic inside the waist edge of this item provides comfort and great support. It is made of soft twill woven fabric that gives you extra stretch for added comfort. It is available in 11 different colors. 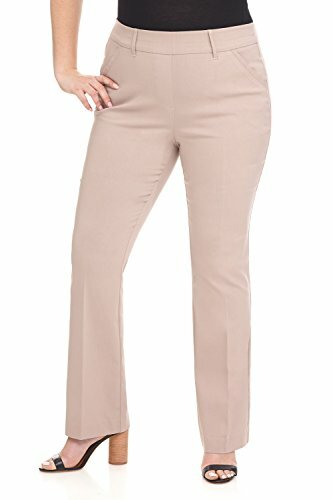 If you are looking for a curvy pant that will highlight your figure in a new way, the Rafaella Women’s Curvy Fit Gabardine Trouser is a perfect choice. These pants fit fuller through the back and hips and smaller on the waist to convey an hourglass silhouette and define your waistline. 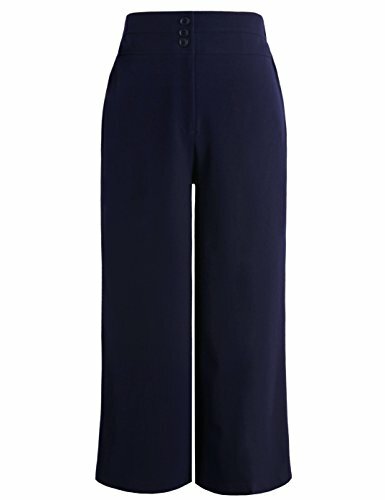 These beautiful flared trouser features a 30-inch inseam, flat front design, no-gap waistband, and a two-button closure. This pant has a fabric resistant to wrinkling, and it is easy to care for. They are designed to flatter your figure. The contoured silhouette through the thigh and hip helps to complement your natural shape. It is available in navy, grey, and black. The Lark & Ro Women’s Bootcut Pant marries classic designs with soft fabrics, giving you easily paired pieces. This expertly tailored bootcut pant gives you a fuller fit in the thigh and hip. It has a slightly raised waistband in the back that helps to enhance comfort and minimize gathering. It is made from 5% Elastic, 33% viscose, and 62% Polyester. This bootcut pant is specially designed for fuller thigh and a smaller waist. 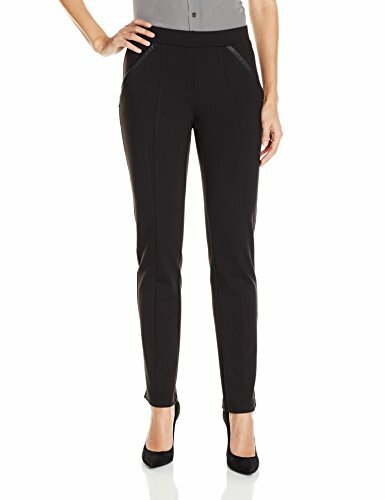 This is the ideal dress pant for any woman with an hourglass shape as it helps to minimize gaping at the back waistband. This pant’s fabric is refined with a comfortable feel that drapes the body beautifully. It is available in 3 inseams length: long 34 inches, short 30 inches, and regular 32 inches. If you are looking for a curvy fit, slim pant that can create a streamlined, sophisticated look without compromising on comfort, the Lark & Ro Slim Leg Dress Pant is a perfect choice. It features a fuller fit through the thigh and hip with back and front creases that gives you a leg-lengthening effect. This pant is machine washable, and it is available in long 32 inches, short 28 inches, and regular 30 inches. It has a versatile matte fabric that has a crisp, structured appearance, giving you a comfortable feel. The stretch design of this pant gives you a polished, elevated look. The tapered hem is contoured to hug your body. It comes with faux welt pockets and front coin pockets that lay flat. The Rekucci Women’s Secret Figure Pant comes with a gutsy, compression knit Ponte that sculpts, lengthens, and slims to your body. The supportive front tummy control panel helps to hold you where you need it. The contoured waistband flattens and smoothens. So, if you are looking for a yoga pant that fits perfect for the office, the Rekucci Women’s Secret Figure Pant is the right choice. 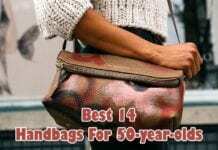 It is available in 32-inch regular inseam length and 29-inch inseam petite length. It comes in 16 different colors. The Rafaella Women’s Ponte Slim Leg Pants feature a slight two-toned look that can pair well with dark and light tops. The elastic striping on the pocket opening of this pant gives it flair. This dress pant has a pull-on waistband and stretches fabric that helps to create a polished look and cozy feel. It comes with two back pockets and two front pockets. If you are looking for a pair of pull-on pants, you can easily dress up or down and hug your curves beautifully, Rafaella Women’s Petite Ponte Pants is the ideal choice. 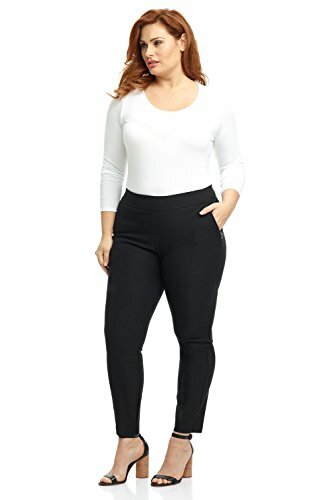 This is one of the best pants for curvy petite, and they are incredibly soft, durable, and comfortable. You can style this pant with a knit tee for a casual outfit or a dressy top for the perfect office look. This dress pant has zippered front pockets, a wide waistband, and center seams. Its machine washable fabric makes it perfect for curvy women with a busy lifestyle. The LEE Women’s Relaxed Fit Pant is the perfect all-day work pant, and it is available in 21 different colors. This relaxed-fit pant is made from silky soft fabric, and it has a super-comfortable waistband. This comfortable dress pant has a design that will provide you a stylish wardrobe. This pant is available in 2 inseam lengths: Long 33 inch, Medium 31 inches, and Short 29 inches. The Chicwe Women’s Plus Size Curvy Fit Pants will help to show your curves in style regardless of your body type. It features extended button tab closure, zip fly, and stylish cropped length to show elegance and uniqueness. It is made from naturally breathable fabric that is comfortable and soft. It is perfect to wear to a casual party, homecoming, or work. 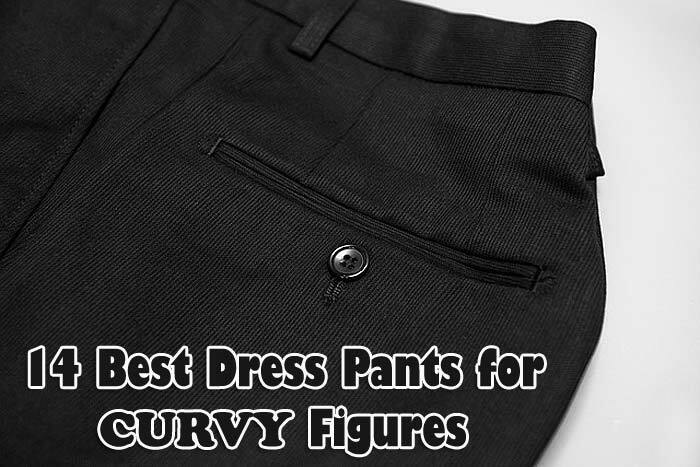 This easy to wear and easy to care curvy fit pants are machine washable. 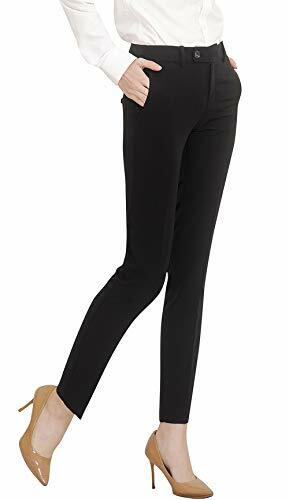 The Maycrafts Women’s Work Dress Pants is perfect for any occasion, whether it is business, office, casual, or work. The added belt loops allow you to adjust its waist size using a belt. The stretch fabric of this pant provides for more natural movement. It has a medium rise design that gives you a professional look. It is made of 100% polyester, and you can machine wash it. 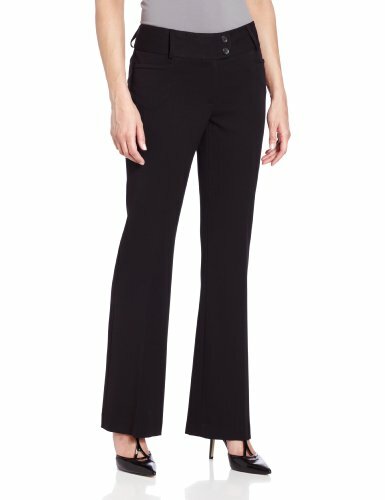 The Maycrafts Women’s Work Dress Pants is a comfy pant that comes with two front pockets. It is available in black, dark blue, plaid, and beige. The LEE Women’s Curvy Fit Trouser is the perfect dress pant for a day at the office or a weekend adventure. 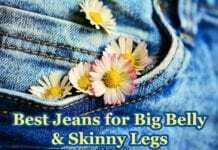 It features a denim-inspired and straight leg waistband yoke. It is a no-gap waistband with a high-rise back and mid-rise front. It also comes with welt back pockets. This high-waisted dress pants available in 18 different colors, so you can choose the one that best suits your preference. This list of the best dress pants for curvy figures has a pair of pants for all curvy figures of different size and shape. Hopefully, it helps you make an informed buying decision.